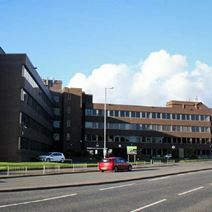 Part of a community that stretches the length of the UK this Paisley business centre benefits from a prime location in a large scale corporate building. The office suites available range from 650 to 3,000 sq. ft. Tenants are supported by the centre"s marketing department and have access to meeting rooms. 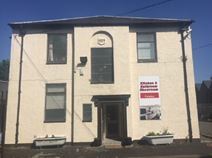 Around one mile from the town centre, this small business centre is in a recently refurbished building that was built in 1929. It comprises of a large open office, a meeting room, a communal kitchen and toilets. There is CCTV in operation and the site benefits from a large car park. The last remaining office suite in this building is available on the third floor. Newly refurbished it is in a popular area of Paisley town centre and provides excellent transport links. Housed in the prominent former M&Co building and within three minutes of Glasgow Airport this business centre has been newly refurbished and offers a range of serviced office space as well as storage services. A selection of offices of various sizes is available to let in this business centre located in the proximity of Glasgow International airport. The centre is well connected to Glasgow's city centre and is surrounded by shopping centres, sport facilities, hotels and numerous amenities. 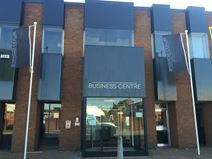 The business centre consists of bright offices and meeting/conference rooms which benefit from a wide range of services and facilities: 24/7 access, parking spaces, CCTV monitoring, high speed internet connection, maintenance and cleaning services, professional reception and administrative services. These office spaces are available at flexible rental terms to respond to any of your needs. Less than 10 minutes from Glasgow City Centre this centre is housed within three blonde sandstone traditional buildings and provides open plan spaces over five floors ideal for various sizes of business. There is a meeting room facility and private car parking. 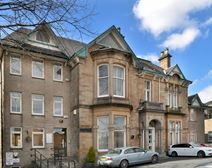 Situated within the Abbey Mill Business Park, this grade 1 listed building was originally built in 1886 and has been extensively refurbished to provide high-quality flats and office space within a five-minute drive of Glasgow International Airport.